When you’re looking for a custom product label, there’s a strong chance you’ll want what’s called a pressure-sensitive label (PSL). This highly versatile label solution can be seen on nearly any type of product. In fact, PSLs constitute more than 80 percent of all labels in the market today. Pressure-sensitive labels are like a high-tech sticker. They can use paper, film and foil as their primary label materials and can be used with a wide range of inks. Since they don’t require any heat, solvent or water to activate, it only takes light or moderate pressure to apply (or stick) them to a product surface. They come on rolls to be peeled off and pressed onto a product using a hand or machine-applied technique. Pressure-sensitive labels are used for everything from automotive products, chemical pails and household goods to food and beverage containers, wine and spirits bottles and nearly everything in between. You’ll find them on a broad range of products. Because they don’t require heat, solvent or water to adhere to packages, pressure-sensitive labels are an easy and straightforward label solution. They’re easily applied to containers, bottles and packaging, highly versatile and can work with many types of products and finishes. 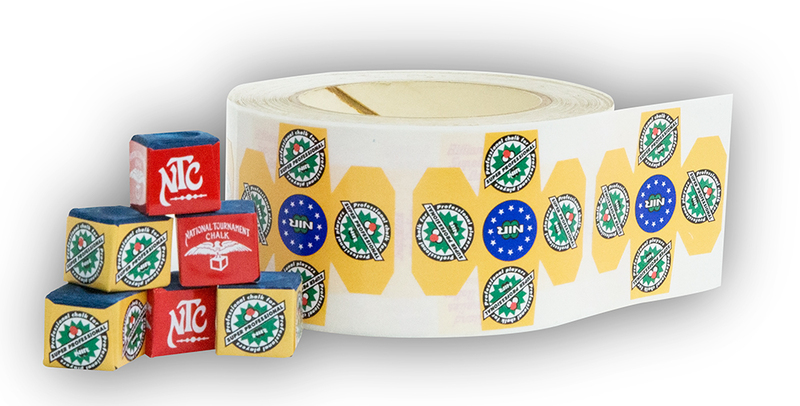 Different adhesives can make pressure-sensitive labels removable or permanent, depending on your use. Some high-performance, pressure-sensitive adhesives can last through extremely hot and cold temperatures. And heavy-duty options can support the weights of bulky labels, such as extended content labels. Pressure-sensitive labels provide you with the flexibility to create a label that delivers value. To help you select the right materials, let’s take a closer look at what makes up a pressure-sensitive label. The topcoat is a finish applied to your label to protect it and add visual effects. The face stock is the base material with your printed design. It comes with an adhesive on the back that sticks to your product. The label peels off of a roll (or liner) treated with a non-stick (release) coating. Your choice of face material heavily affects both the price and appearance of your label. You can use a variety of papers, films or metal foils. Generally, papers are traditional and less expensive, though there are premium paper options. Films are more durable solutions and can be treated to stand up to tough environments. One premium option is the foil label, used for specialty products or by brands looking to stand out with a metallic look. Your adhesive choice depends on your face stock material, your packaging material, how customers interact with your product and the environments your product must survive. There are permanent adhesives for tough uses, temporary adhesives for removable labels (or removable coupons) and specialty adhesives that stand up to certain hazards, such as exposure to moisture that could cause your label to peel. Adding a finish (or topcoat) is one of the last steps in the label process. Not every label requires a specialty finish, but adding one can give your product shelf appeal And finishes protect your label from harsh use and hazards, such as moisture, sunlight, temperature variations and chemicals. You can choose a matte, semi-gloss or gloss finish. While matte finishes add a muted, soft feel that creates a subtle, premium elegance, gloss adds attention-grabbing reflectiveness and is the brightest, most durable finish available. Semi-gloss is a great middle-ground solution. These are just some of the most common options for face materials, adhesives and finishes — there are many more available. We will help you identify the best materials to fit the unique needs of your product’s label. Pressure-Sensitive Label Capabilities at Better Label and Products Inc.
Our Art Department’s creative team is dedicated to finding you the best solutions for your budget and the complexities of your order. Whether you need a branded design from our professional art department or a material solution from our experienced label professionals, we’ll help you achieve your ideal label. And we’ll walk you through the label process from start to finish, giving you a smooth experience. You’ll get a crisp, eye-catching label that reinforces your brand, meets your budget and separates your product on store shelves. To get information on custom label solutions for your product, give us a call at 404-763-8440 or click here request a consultation and a quote .